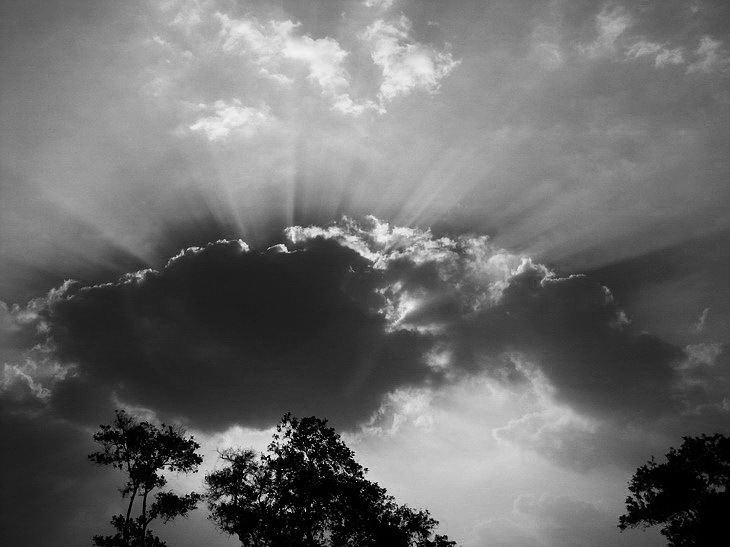 It's my first time to create a sky shot in B&W. My focus was the sun that covered by the cloud. You managed it perfect! It is a great post both for B&W Weekend and SkyWatch! A fine photo Lina. I love the rays, and the bright edges of the cloud.